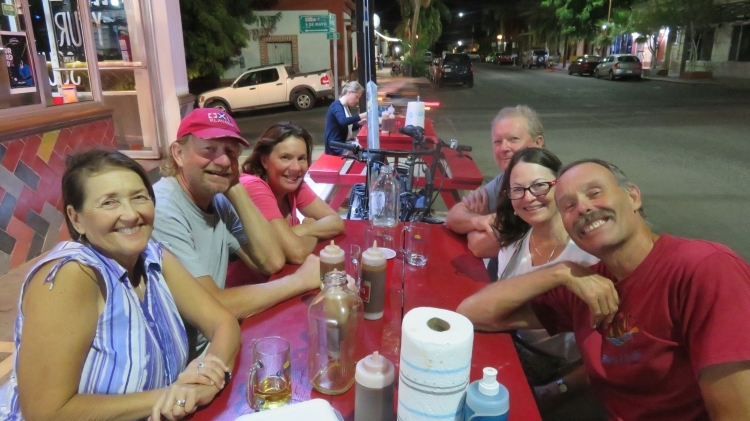 Crews of Carmanah, Huakai, and White Raven enjoying the best ribs in Mexico. J&R Ribs in La Paz. Rick and Susie (back left) brought White Raven down from Olympia this past fall. Wow!! Beautiful & calm water!